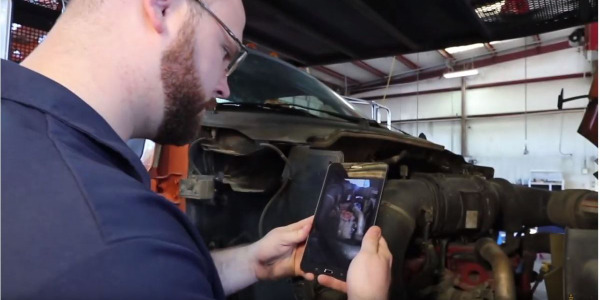 Augmented reality could become a training and even a diagnostic tool in the shop. 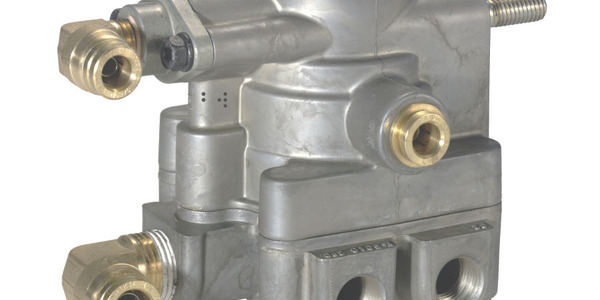 Today’s truck technicians need to know about more than how to change tires, do a brake job, or replace engine injectors. 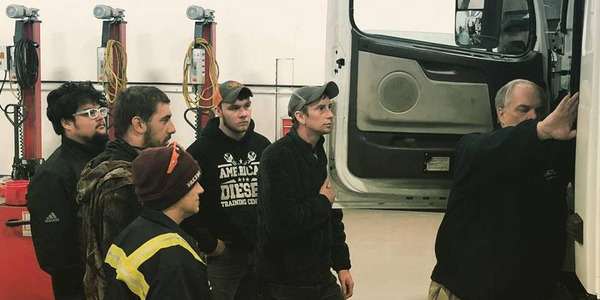 Taki Darakos, vice president of maintenance for Transervice, a New York-based supply chain solutions company, says he has learned how important it is to make sure technicians get training on the newest technology. 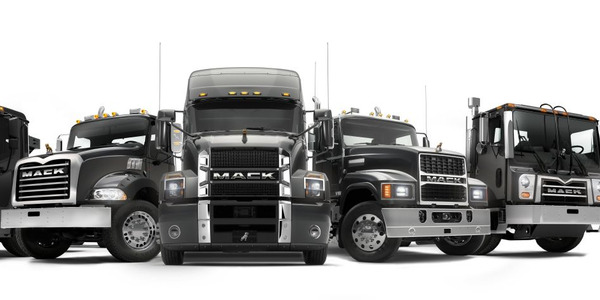 For instance, one of its dedicated fleets was recently switching truck makes, and the new trucks had automated transmissions and advanced collision mitigation systems. While this high-tech equipment may make the technician’s job more challenging, it also can make it more attractive to a younger generation. The recent buzz in the general and consumer tech media about technology such as electric trucks and autonomous vehicles doesn’t hurt the effort to show how trucking is a high-tech field. And technology isn’t just showing up on trucks. It’s being actively used to help technicians learn and do their jobs. Penske, for instance, is now using a voice-directed preventive maintenance inspection process. 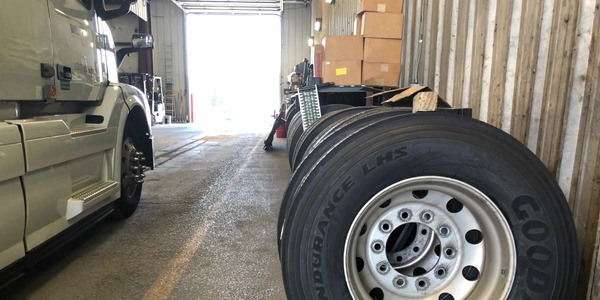 The approach improves inspection and repair accuracy and consistency, Penske says, while eliminating paperwork and ensuring full documentation. “Providing technicians with a hands-free solution at the point of repair and removing repetitive handwriting and keying has made their jobs easier,” Mangione says. It taps a high-speed indoor and outdoor Wi-Fi network and uses rugged mobile tablet devices. The system provides voice prompts via a headset to direct technicians through the preventive maintenance inspection. “It started with the fact that the truck itself is becoming more complex and we need to give our technicians better tools,” Mangione says. Penske technicians also have their own YouTube channel, with how-to videos for technician knowledge on demand. “There’s more and more of a range of things they need to work on, and they need that right at their fingertips.” He says. 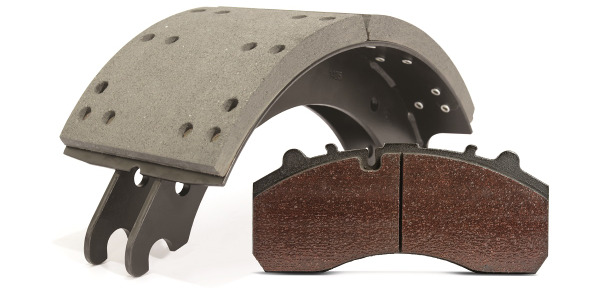 In the first quarter of 2019, a new guided repair solution will use artificial intelligence and the Penske knowledge base. 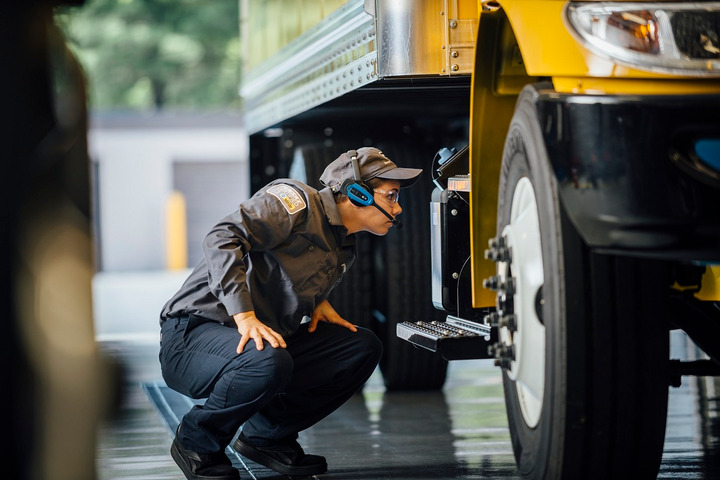 Penske’s voice-directed preventive maintenance inspections can be tailored to the specific vehicle’s age and specifications. 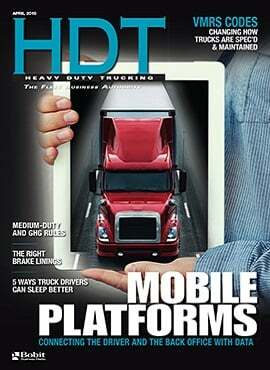 In addition, a pilot program is evaluating augmented reality technology as part of truck maintenance operations. 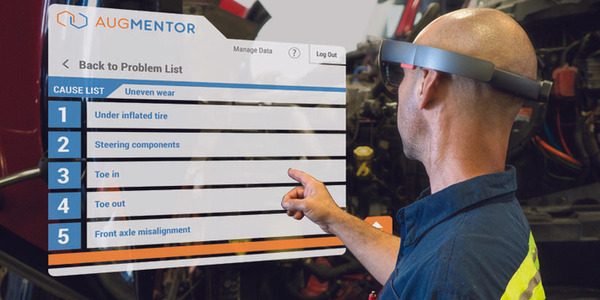 Unlike virtual reality, which immerses the user into another world, with augmented reality you still can see the real world, but augmented by virtual objects, explains Matt Johnston, director of commercial experience for Design Interactive, which is working with fleets to do pilot programs of its Augmentor AR technology for technicians. “So when I look at a real truck, I might see a floating virtual hologram of a brake, with step-by-step instructions. Each of those steps is virtually placed on the truck and allow the technician to walk through those procedures.” 3-D diagrams, PDFs, audio notes, video, can all be part of the experience. 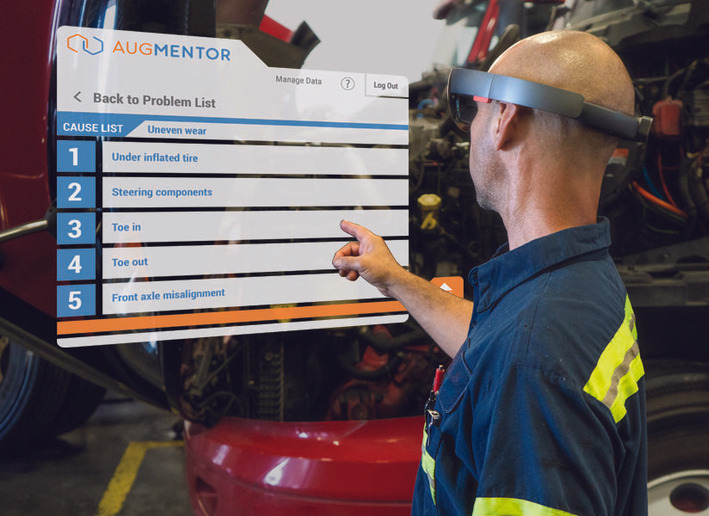 Design Interactive is working with fleets, suppliers, and the American Trucking Associations’ Technology & Maintenance Council to evaluate the best uses of Augmentor, an augmented reality troubleshooting and training application that can guide a technician through a diagnostic or maintenance process. For instance, DI is working with TMC to turn the association’s tire conditions book into AR content. “Say I want to train a technician on how to inspect tires for different types of wear,” Johnson says. “I can float a hologram of a tire that has an example of river wear or one-sided wear, and the person can make a determination of whether the real tire exhibits the same pattern. For now, the program is available only through AR headsets, which, while they have come down in price, are still expensive enough that you’re not going to go around buying one for every technician. However, a smartphone-based version is on the way. Expect more details to come out of TMC’s meeting in March.